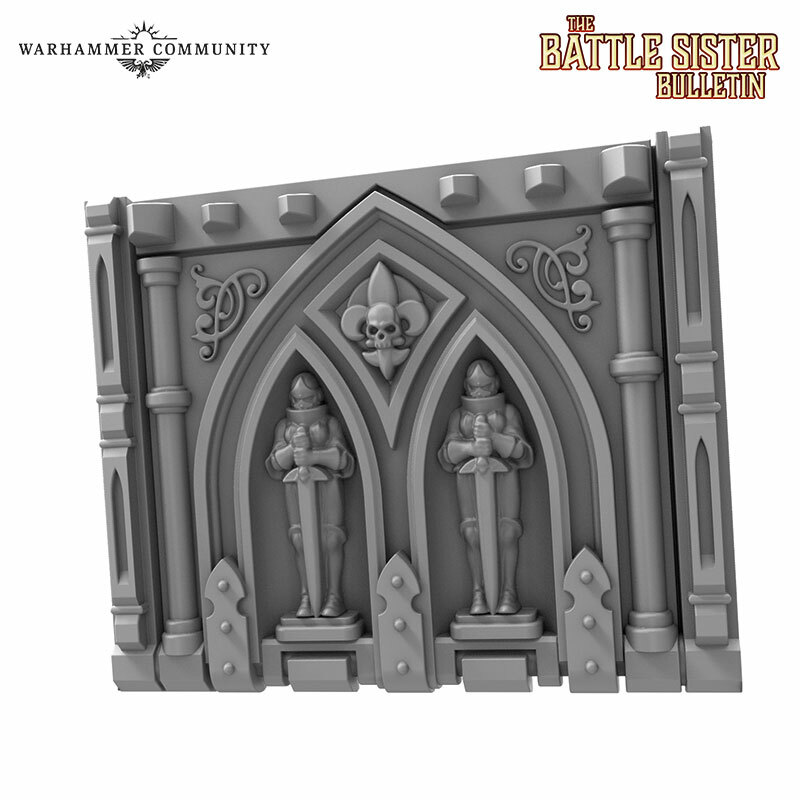 It’s a brand new Battle Sisters Bulletin which is bringing us some fresh looks at their upcoming ornate update. We’re getting a peek at their new vehicle kits coming, and they are every bit as Gothic as you would expect! 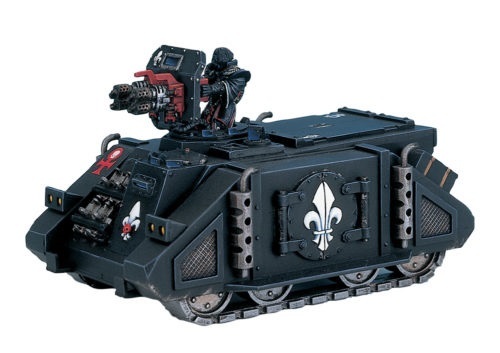 One of the mainstay vehicles for the Sisters has always been the Rhino chassis – but not the one that the Adeptus Astartes use. 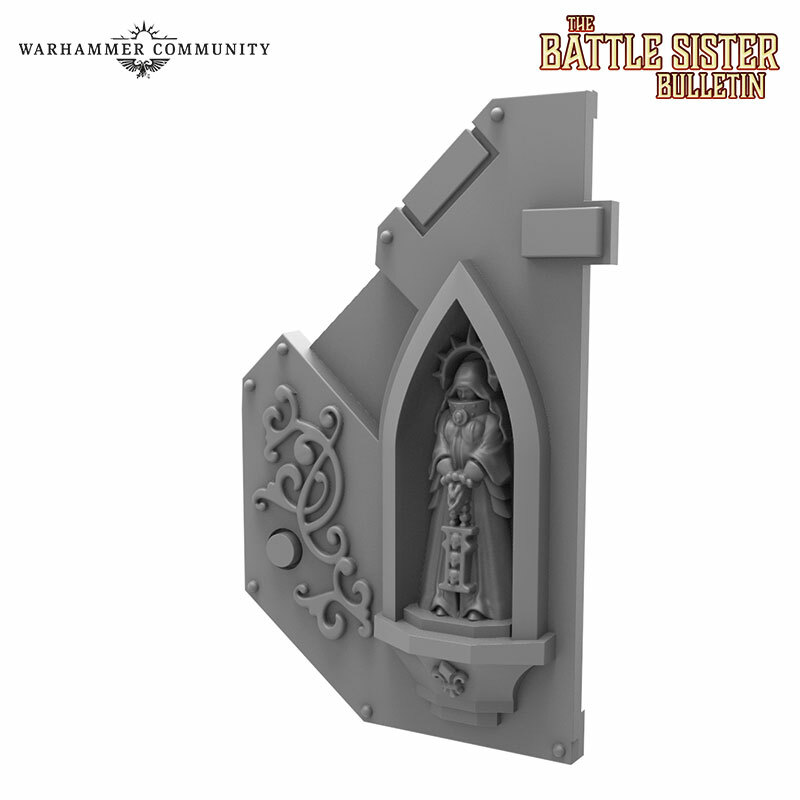 No, the Sisters are old school and run with the Mk I Deimos-pattern Rhino Chassis. 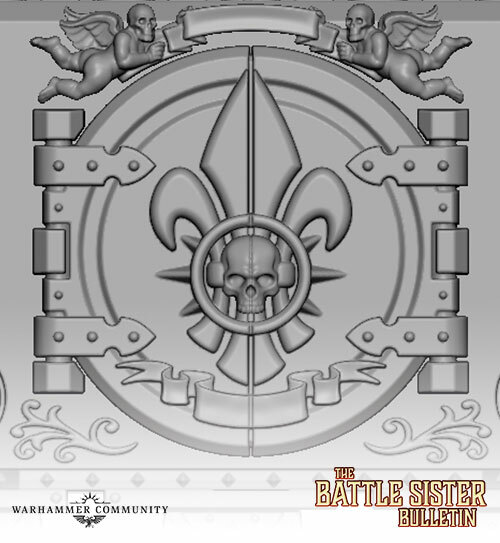 You can see the updated look with the extra Gothic-vibe and the icon fleur-de-lys of the Sisters. We’re also getting a look at the exhaust ports of the Rhino. 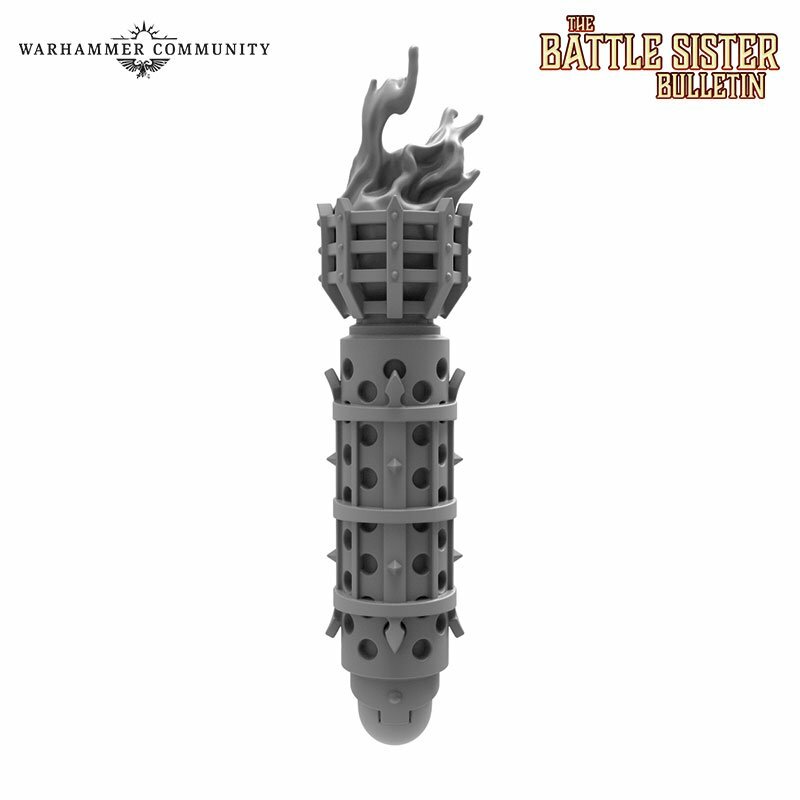 As you can see above, it’s more exposed than the Mars-Pattern, but the Sisters are adding some extras to make the exhaust resemble a brazier – quite fitting for folks who want to burn all those pesky heretics! …Or an ornate rear-hatch that is just that! Seriously, these Rhinos are going to amp-up that whole “Nuns with Guns” vibe of the Sisters. I guess we shouldn’t be surprised. I do have some questions about these kits from a logistical standpoint. My main question is if these updates are going to retrofit the current Rhino kit (which is the Mk IIc Mars-pattern Rhino) or will Games Workshop be reproducing the old Mk I Rhinos specifically for the Sisters? 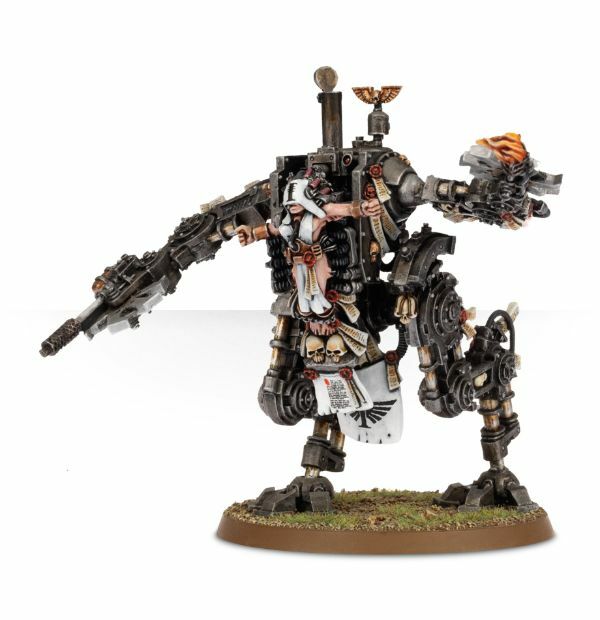 Forge World has a conversion kit so that would be the route I would think GW would go. But stranger things have happened. One of the most feared battle engines, the Penitent Engines are horrific “battle-suits” that have a condemned pilot who gets plugged into these weapons of war. The process and the prospect of “riding” these into battle are why they are called “Penitent” Engines. The current options are metal monstrosities, quite literally. Anyhow, this is our first look at the Penitent Engine, and I’m liking the direction they are going (as in plastic). I’m betting that we’re going to get a crazy looking model by the time the rest of this one comes out to play. 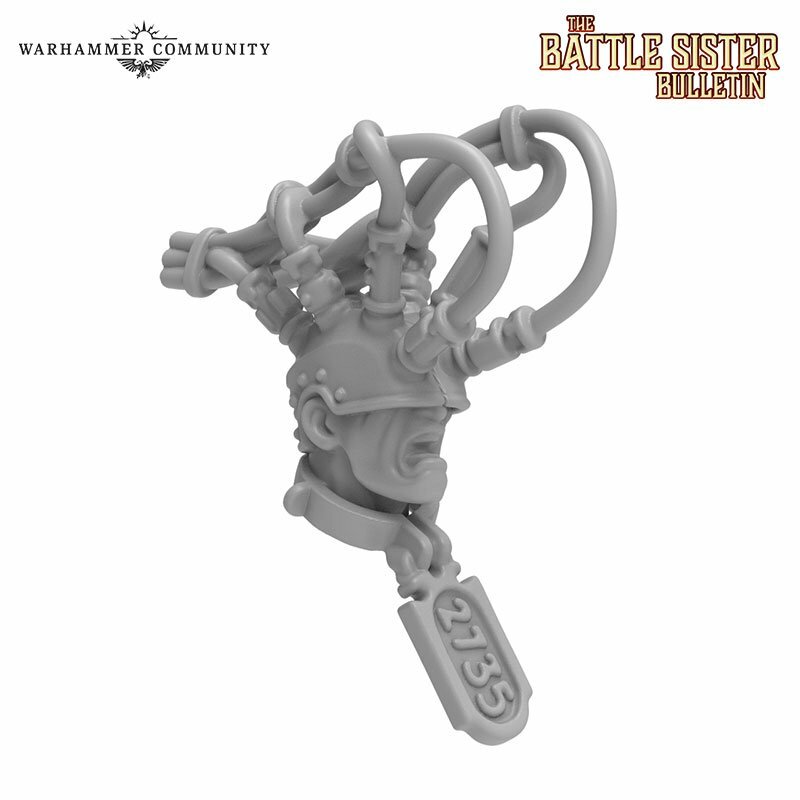 So what’s your take on the new “Old School” Sister’s Rhino and the updates to the Penitent Engine?